DesignaVenture has been working hard on the perfect website to suit all devices. It hasn’t been easy, there’s been shouting, arguing and even a punch up and that’s just the boss in the stationary cupboard on his own, anyway we’ve finally got there and it’s certainly impressive (feedback received from some of our customers we interrogated I mean questioned). 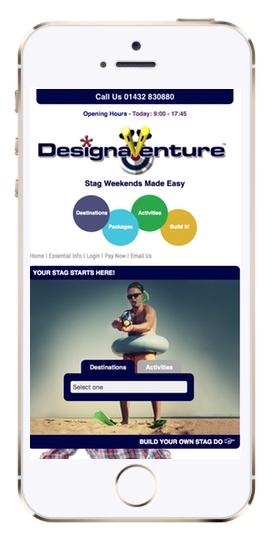 From our membership area you can invite all your friends from your iPhone 6s, or Build Your Own stag do with your Galaxy S6, or even check to see who has paid with your Sony Xperia Z5, how many smart phones do you have? What we are basically saying it’s extremely smart phone friendly, apparently if you stay on the website it’ll even charge your phone*. Our new membership area has had a complete ‘new look’ making it a breeze to invite your mates to add on to the booking, send them payment reminders, share bookings and wish lists with them from any device. We have also improved our very popular Build Your Own section, making it much more user friendly and easy to use again, with any device. We have also introduced a new colourful top menu with finger friendly links to help you navigate around the website. Whichever device you are on, you will find DesignaVenture’s new website extremely easy to navigate around, and more importantly easy to understand. However behind all this minimalist and simple design is a huge amount of information at your finger tips, where you can still book online, contact us in all manor of ways. Any other business – please bear with us over the next few months, whilst we do our snagging, as there will always be issues which do not raise their ugly heads at the testing stages, only once live. We still have phase 2 to come, which means more improvements to the navigation of the website, so watch this space. Christmas is here my friends and it’s that time of the year when you need your cash to flow, Auntie Sue needs an Iron, Grandma wants curlers and your partner is demanding an iPad, and on top of all this, your best mate is getting married and has seen the perfect DesignaVenture stag / hen weekend and wants it booked now! Well, we have the answer to all your problems (well your Hen / Stag Do issue). 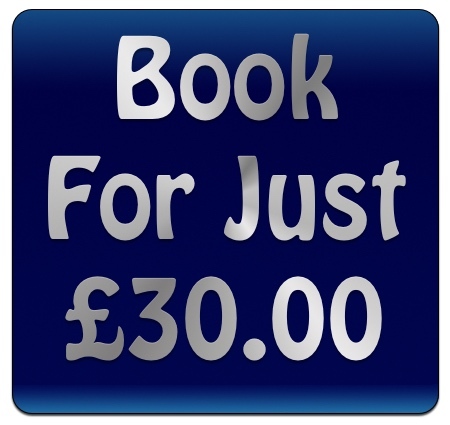 Instead of the usual £60.00 group deposit required to get your hen or Stag Do booked all you need is a single £30.00 deposit* and then you can concentrate on getting Uncle Brian that B&Q voucher that he will lose by January. Once booked, go to your membership area, invite all your mates to the celebration, then you can sit back, relax and enjoy the festivities, in the knowledge that you have one thing already ticked off for 2016 and that you’re a hero in your best mate’s eyes. There is a snag, it’s only a small snag, this offer finishes on December the 24th so you must hurry and get it booked, for more details contact us on 01432 830880, or click on the live chat button below. Good luck, and by Crikey “Merry Christmas”.